For students in government classes and others looking for strategies to evaluate news stories and related media, here’s the slideshow discussed during class. This slideshow combines slides from three campaign literacy lessons available from the Center for News Literacy at Stony Brook University’s School of Journalism. Click on the slide image below to open the slideshow in PowerPoint Online. Who’s responsible for the source? Should you trust them? Do they have relevant credentials? What are their biases? Here are three techniques to try when you’re investigating this question. Check the site’s About page and search the web for associated names (e.g., article authors, company or organization names, site owners or sponsors, and board members). This can shed light on who’s responsible for the information on your screen, their credentials, and what biases might influence what you’re seeing (or what’s been omitted from what you’re seeing). Type the web address into a domain registry like WHOIS to reveal the name of the organization or person to whom that web site is registered. NOTE: Because site owners can pay to have WHOIS show the name of the company hosting the site rather than the owner’s information, this doesn’t always reveal much. Type the web address into a backlink checker like OpenLinkProfiler or Open Site Explorer to reveal a list of sites that link to the site you’re using. This can give you a sense of the site’s friends and neighbors. Reading an article about a bill in Congress, an executive order, or a speech, press release, Supreme Court decision, or scientific study? Concerned the article might have misquoted or misinterpreted the source? Track down the original source and read it for yourself. 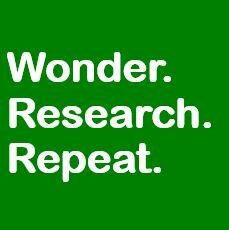 For scientific studies, you’ll likely need our library databases. Data and statistics gathered by federal agencies – economic stats, labor stats, etc. Evaluating an image? Use more web detective tools! When confronted with a flood of images and videos, as often happens in the wake of natural disasters and acts of violence (e.g., photos posted after Hurricane Sandy), how do journalists verify such sources? In this TED talk, Markham Nolan provides a glimpse into how journalists were using tools like Google Maps, Spokeo and Wolfram Alpha for this purpose in 2012. Using the information_neighborhoods_chart as a reference point, apply the strategies we discussed to evaluate the following news videos and/or web articles about the Dakota Access Pipeline. Complete this chart: NewsStoryEvaluationChart. Other evaluative frameworks have been developed by colleges, libraries, and other organizations to help researchers evaluate the sources they encounter.